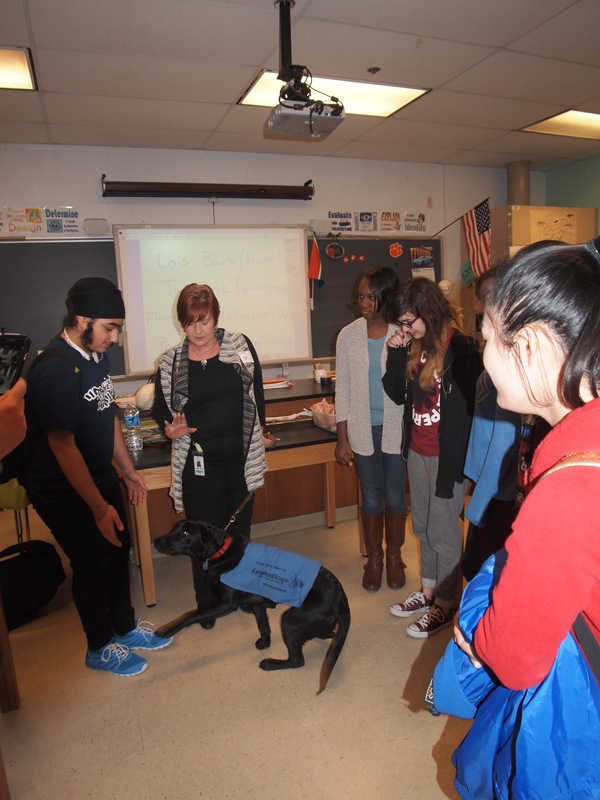 Lions Julie Thomas and Lois Barb, 22-C Leader Dog chair, along with Leader Dog puppy-in-training Jasmin, visited the Sherwood High School Leo Club on February 9, 2015. The Leos learned about both the Leader Dog and puppy raising programs and were able to pet Jasmin while she was “not working.” As a service project to raise money for Leader Dogs, the Sherwood Leos will be selling Valentine flowers all week in the school. The Sherwood Leo Club is sponsored by the Sandy Spring Lions Club. This entry was posted in sandy spring, youth. Bookmark the permalink.